Decontamination Fogging is the 2nd step of our mould remediation treatment procedure. Decontamination Fogging is the 2nd step of our mould treatment process. Fogging will eliminate all airborne mould spores and other bacteria. The product is non-hazardous, biodegradable and not harmful to any contents. The fogging machine we use distributes a mist into the air throughout the entire property to ensure consistent coverage of the entire living environment. The fogging mist is very similar to the steam created by a hot shower. Why is fogging the entire property recommended if only one room has visible mould? Fogging the entire property is required to prevent the mould growing in other rooms. Under the right conditions mould spores will aggressively form, multiply and spread. Spores can also be transported throughout the property on clothing as well as being present in the air. Therefore, our decontamination fogging services are a crucial step in the mould remediation process. Mould treatment fogging services | What does all of this mean? The elimination of mould spores and other bacteria will ensure the property is restored to a safe and healthy environment for the occupants. Occasionally if a property has ongoing issues with dampness and the cause cannot be fixed, a service agreement option is available. The Mould Doctor to the rescue! 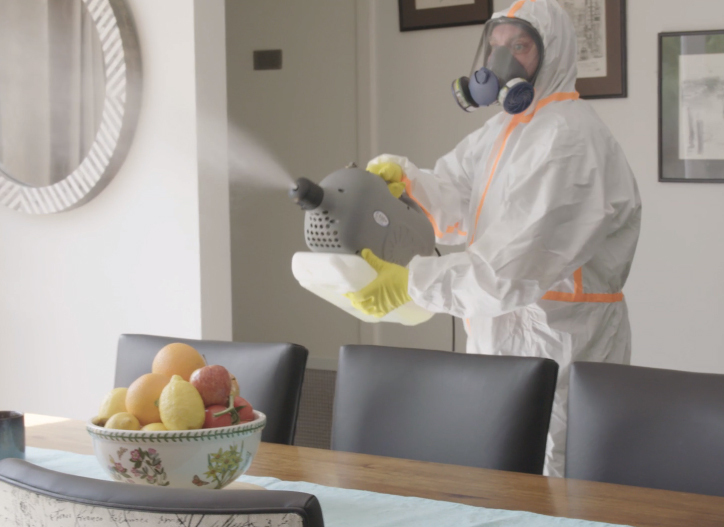 Living in a property with mould can be bad for your health. The good news? You can do something about your mould problem! Call The Mould Doctor to arrange a FREE Inspection, which includes the initial inspection, findings and recommendations detailed report and quotation. The Mould Doctor will inspect the property or place of work and provide recommendations to eliminate the mould and provide recommendations on ways to reduce excess moisture and improve ventilation, ensuring your home or business remains a healthy and safe place to live and/or work. Please click the link below to book your FREE Inspection.